Certainly, cashews are among the healthiest foods in the world. However, only a small percentage of the natural medicines database is dedicated to its research. Cashews need hot and humid climate in order to grow, so countries such as Brazil, Tanzania, Mozambique, and Nigeria are the largest cashew producers in the world. 50 grams of cashews have 275 calories. 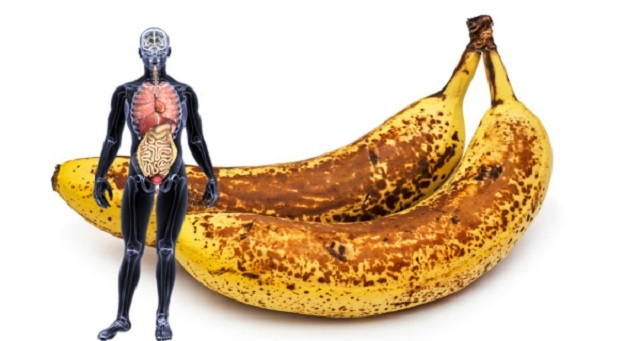 Moreover, they also have an abundance of minerals, vitamins, phytochemicals, and soluble dietary fiber that prevent serious diseases, such as cancer. Cashew nuts contain large amounts of monounsaturated fatty acids-oleic and palmitoleic acids which benefit the cardiovascular system. They are a part of the essential fatty acids that have the ability to increase the levels of good cholesterol and decrease the bad one. According to research, the well-known Mediterranean diet is based on monounsaturated fatty acids and it can aid the body by protecting it from strokes and coronary artery diseases through offering support to the blood lipid profile. These delicious nuts contain essential minerals as well such as potassium, copper, zinc, magnesium, selenium, and iron. With only one handful of nuts per day, our body receives its needed amount of minerals and prevents the appearance of diseases caused by deficiency. Moreover, selenium is a crucial micronutrient and it functions as a co-factor for antioxidant enzymes, like Glutathione peroxides- one of the strongest antioxidants in our bodies. Additionally, copper also functions as a co-factor for other crucial enzymes like superoxide dismutase and cytochrome c-oxidase. Zinc, on the other hand, does the same with enzymes responsible for regulation of digestion, DNA synthesis, and gonadal function. Cashew nuts are rich in essential vitamins like riboflavin, pantothenic acid, pyridoxine, and thiamin. Only 100 grams of cashew nuts will provide you with the 30 percent daily recommended intake of B6. What’s more, B6 can decrease the chances of developing sideroblastic anemia and homocystinuria. Furthermore, niacin protects us from pellagra or dermatitis. Additionally, the abovementioned vitamins are needed for protein, fat, and carbohydrates metabolism at a cellular level. Zeaxanthin is also present in cashews. This is an important pigment of flavonoids antioxidant. The pigment is absorbed inside the retinal macula in the eyes. What’s more, it is believed that it offers UV ray protective features. It also prevents the appearance of age-related macular degeneration in elders. 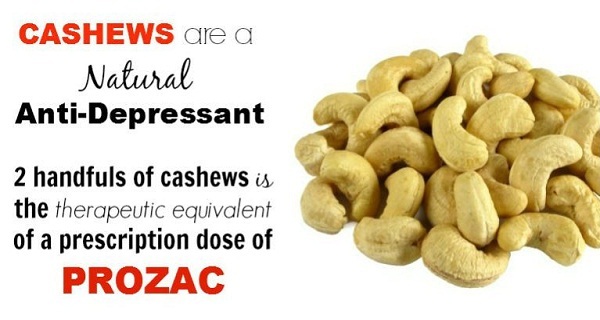 Among these crucial benefits, cashews are also considered as the best alternative medicine for depression treatment. Cashews are rich in tryptophan- a vital amino acid our bodies require, so it encourages proper child growth and development, behavior balance, mood regulation, improved sleep, and they can significantly decrease the levels of anxiety, stress, and depression. In only two handfuls of cashews, there are 2000 mg of tryptophan. Additionally, it has been proven that this compound is equally successful as the antidepressants. However, the good thing about cashews as a treatment for depression is the absence of any side effects that are usually caused by antidepressants. David Adams, an FDA Deputy Commissioner for Policies, who was a part of the Drug Information Association Annual Meeting, claims that we need to pay additional attention to the legal arena events and dietary supplements. If producers of natural medicines get the needed support, there will be a new class of products which will be a competition for the already offered drugs on the market. Therefore, there is a need for a different law that will enable supplements regulation. FDA Dietary Task Force, back in 1993, released a report which claimed that existence and selling of dietary supplements will not endanger the efforts for creating new drugs. All in all, although there is a large amount of drugs sold on the markets around the world, we have to be aware that there are natural and harmless remedies for depression hidden from us by the big pharma due to fear of losing money.